Rule One: Every Stroke We Take Is One Less We Have To Make. Keep going! Even against the most relentless wind, somehow a canoe moves forward. This mystery can only be explained by the fact that each pull forward is real movement and not delusion. Rule Two: There Is To Be No Abuse Of Self Or Others. Respect and Trust cannot exist in anger. It has to be thrown overboard, so the sea can cleanse it. It has to be washed off the hands and cast into the air, so the stars can take care of it. We always look back at the rip tides we pulled through, amazed at how powerful we thought those dangers were. The adaptable animal survives. If you get tired, ship your paddle and rest. If you get hungry, put in on a beach and eat a few oysters. If you can’t figure one way to make it, do something new. When the wind confronts you, sometimes you are supposed to go the other way. Rule Four: The Gift of Each Enriches All. Every Story is important. The bow, the stern, the skipper cannot move without the power puller in the middle-everyone is part of the journey. The elder who sits in her cedar at the front, singing her paddle song, prays for us all, the weary paddler resting is still ballast. And there is always that time when the crew needs some joke, some remark, some silence to keep going. The least likely person provides. Rule Five: We All Pull and Support Each Other. Nothing occurs in isolation. In a family of the canoe, we are ready for whatever comes. The family can argue, mock, ignore each other, at its worst, but that family will never let itself sink. The canoe that lets itself sink is certainly wiser never to leave the beach. When we know that we are not alone in our actions, we also know we are lifted up by everyone else. Rule Six: A Hungry Person Has No Charity. Always nourish yourself. The bitter person, thinking that sacrifice means self-destruction, shares mostly anger. 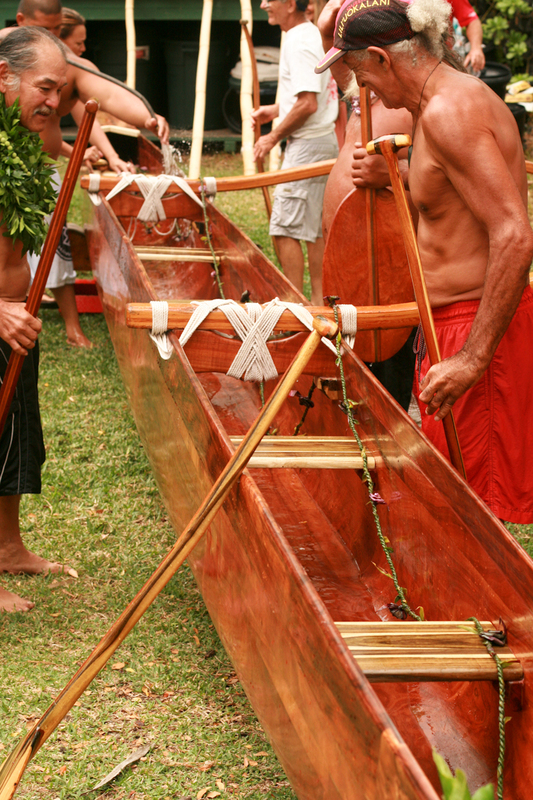 A paddler who doesn’t eat at the feast doesn’t have enough strength to paddle in the morning. Take that sandwich they throw you at 2:00 AM! The gift of Who you are only enters the world when you are strong enough to own it. Rule Seven: Our Experiences Are Not Enhanced through Criticism. Who we are, how we are, what we do, why we continue, all flower in understanding. The canoe fellows who are grim go one way. Some men and women may sometimes go slow, but when they arrive they can still sing. And they have gone all over the sea, in the air with the seagulls, under the curve of the wave with the dolphin and down to the whispering shells, under the continental shelf. Withdrawing the blame acknowledges how wonderful a part of it all everyone really is. Rule Eight: The Journey Is What We Enjoy. Although the state is exciting and the conclusion gratefully achieved, it is that long, steady process we remember. Being part of the journey requires great preparation. Being done with a journey requires great awareness. Being on the journey, we are much more than ourselves. We are part of the movement of life, we have a destination, and for once, our will is pure, our goal is to on. Rule Nine: A Good Teacher Always Allows The Student To Learn. We can berate each other, try to force each other to understand, or we can allow each paddler to gain awareness through the ongoing journey. Nothing sustains us like that sense of potential; that we can deal with things. Each paddler learns to deal with the person in front, the person behind, the water, the air, the energy, the blessing of the eagle. Rule Ten: When Given a Choice at All, Be a Worker Bee — Make Honey! Developed as part of a presentation by the Qyuileute People for the Northwest Experiential Education Conference at University of Puget Sound, [Tacoma, WA] in 1990. This version of The TEN RULES OF THE CANOE by David Forlines is from Oceanedge: The Journal of Applied Storytelling, No. 3, Spring 1995, Tales of the Canoe Nation-1, Page 12, 1995. 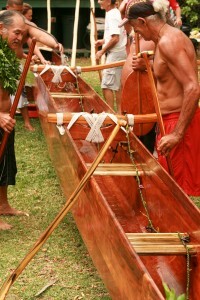 © 2011 The Intertribal Canoe Society and American Friends Service Committee AFSC. All rights reserved.